MeetASalesman.com makes finding quality Fort Lauderdale salespeople fast, easy and safe! Are you or your business in need of a professional, experienced salesman or saleswoman to pitch your product or company? Have you been looking for a dependable salesperson who can consistently close new business for you? Need commission only sales reps? Look no further. MeetASalesman.com allows you to instantly view dozens of profiles for reputable salespeople in the Fort Lauderdale area. You can connect directly with the salesmen or saleswomen you’re interested in through our site, safely and securely. There’s no better or more efficient way! Browse our comprehensive Fort Lauderdale salesperson directory below – We always allow you to view the full profiles of our salespeople prior to making the choice to contact them (which you can do directly on our site). No need to share personal information! 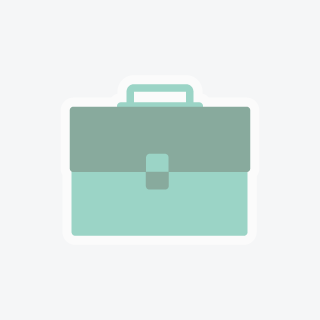 Post your job on our job board– using this method will allow local Fort Lauderdale applicants to apply to your job. You can select the ones suitable to interview and contact them through MeetASalesman.com. It’s as easy as it sounds! 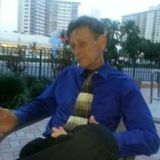 MeetASalesman.com is the single most secure way to find the perfect Fort Lauderdale salesperson to pitch your product. Our Telesafe system protects your information, ensuring you feel fully comfortable when using our services. Our Fort Lauderdale find a salesperson services are powered by CareGuide.com, which has been featured by Mashable, The Huffington Post, Techvibes and Betakit. We have a customer support team dedicated to serving you! If you ever need questions answered about the hiring process, or need help contacting a Fort Lauderdale salesperson you’ve found in our database, our team is always ready to help. Get started today and find the best salespeople Fort Lauderdale, Florida has to offer! Hi may I assist you .Hi may I assist you .Hi may I assist you .Hi may I assist you . About my experience I have 2 years experience at the Hotel Fontaine Bleu Miami Beach ,Customer Service.About my experience I have 2 years experience at the Hotel Fontaine Bleu Miami Beach ,Customer Service.About my experience I have 2 years experience at the Hotel Fontaine Bleu Miami Beach ,Customer Service.